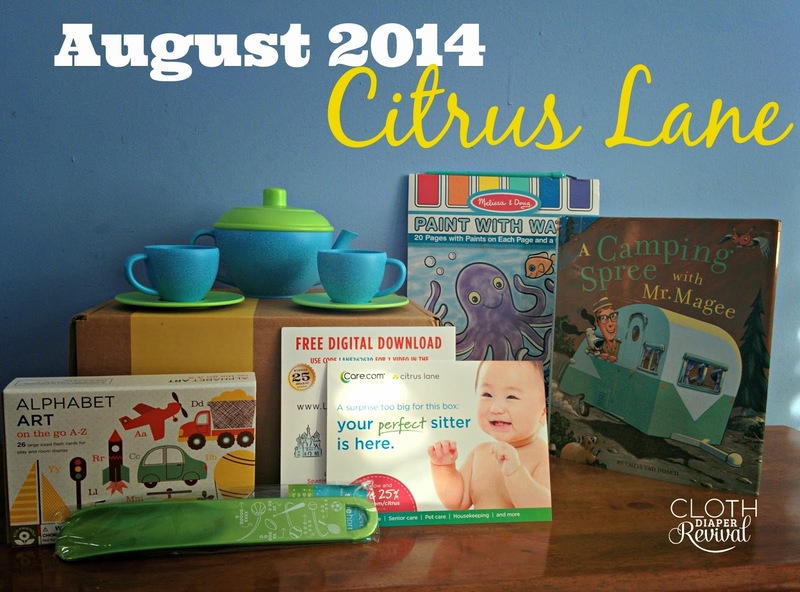 Our August Citrus Lane box arrived today! Here's what's in the box! Green Toys Tea for 2 - We love Green Toys (have you entered the giveaway?) and I'm thrilled that Citrus Lane sent us more to add to our collection! This is not the full tea set that Green Toys sells, but we love this small version anyway! Petit Collage Alphabet Flash Cards, On the Go - I love, love, love this item! This flash cards are adorable and I plan to frame the letters that spell out my son's name for some wall art! This was an item that I knew was coming in advance. Citrus Lane gave me the option to customize the box. I was able to choose between these transportation cards or an animal version. Fresh Feet Shoe Horn - Okay, so I'm a little less thrilled about this item. A shoe horn? At least this a smaller item and the other two were so awesome! Little Pim free digital download - This one is really fun! We get to choose one 35 minute video in the language and topic of our choice! The total value of this month's box is about $53 and the most you would have to pay for a monthly box is $29! That's a great deal! If you want to try Citrus Lane you can save 50% off your subscription by using my referral link! It's not too late to sign up for a September box! Citrus Lane also has add-on items each month that are optional and ship free! That's where we got the Melissa & Doug Paint with Water and the book A Camping Spree With Mr. Magee . I actually got both of these items for FREE thanks to special codes Citrus Lane sends out to it's subscribers from time to time! thanks for posting! I just got the free Sept box and Im crossing my fingers that its really awesome like this months. I love the green toys tea set so much!! We got similar products in our Citrus Lane box this month! My daughter loves the tea set!